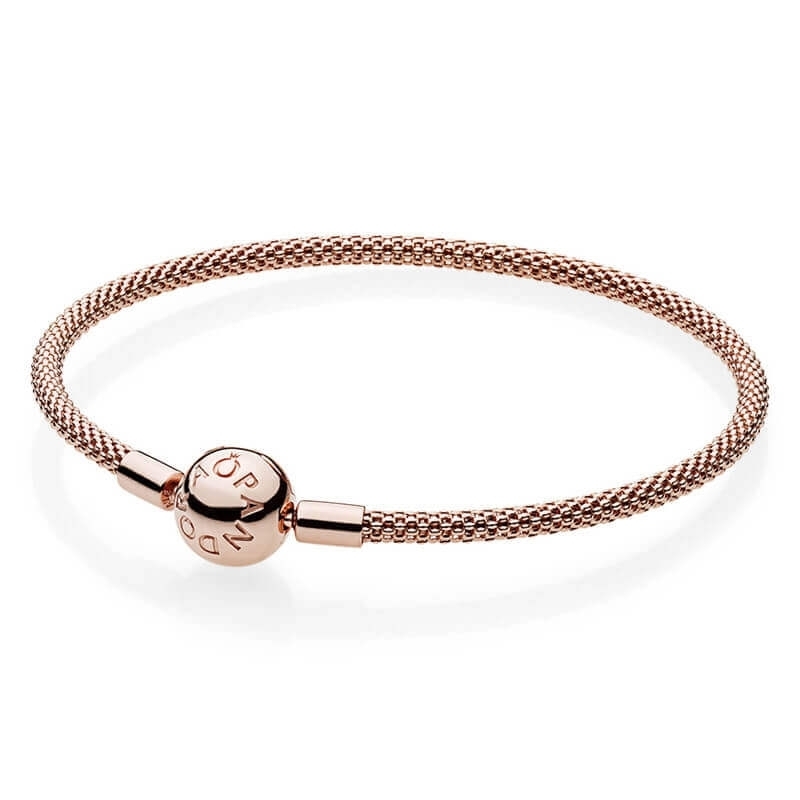 PANDORA Moments Rose Mesh Bracelet. Mesh popcorn style PANDORA Rose bracelet with titanium core. Lightweight and stunning either with or with charms, stacked or by itself.